Home / local news / What is Quo Warranto and why Lourdes Sereno was found guilty? What is Quo Warranto and why Lourdes Sereno was found guilty? Just this morning, Lourdes Sereno has been ousted from the Supreme Court. This decision came after 8 of the 14 justices voted for the removal of the former Chief Justice. What happened today is a history as Sereno is the first ever Chief Justice who was removed from office because of a quo warranto. A quo warranto (Latin for “by what warrant or authority?”) is a legal procedure used to challenge an individual’s right to or authority over the position he or she holds. A solicitor general or public prosecutor may file a quo warranto petition upon the order of the President. An individual also has the right to question someone’s position as long as the petitioner is the one claiming authority over that position. A quo warranto case may only be brought within one year from the time the cause of action or ouster arose. Jose Calida, Solicitor General said that the unseating of Sereno is such a move is good for the country. “The Supreme Court decision ousting Maria Lourdes Sereno augurs well for the country as it preserves the stability of the judiciary. This decision is the epitome of its exercise of judicial independence,” Calida said. “The Constitution does not include ineligibility to public position as a ground for impeachment. No one can be convicted for ineligibility. The sole purpose of impeachment proceedings is to hold a public officer accountable for wrongdoings committed in office. On the other hand, the quo warranto proceedings instituted by the Solicitor General seeks to oust respondent because she is ineligible to be the Chief Justice," Calidad added. The Office of the Solicitor General (OSG) filed a petition for quo warranto dated March 2, 2018, questioning Chief Justice Ma. Lourdes Sereno’s qualifications for the top judicial post. “This is a petition for quo warranto under Section 5(1), Article VIII of the 1987 Constitution and Rule 66 of the Rules of Court seeking the ouster of Respondent as Chief Justice of the Supreme Court of the Republic of the Philippines. “The suit is being filed with this Honorable Court as an exception to the application of the doctrine of hierarchy of courts because the issues raised are of transcendental importance. “This is a case of first impression: it is unprecedented, involving as it does the highest position in the Judiciary. Plainly, no tribunal can best resolve it than the Court,” the OSG said as it began its 34-page petition. Solicitor General Jose Calida maintained that while Section 2, Article XI (ACCOUNTABILITY OF PUBLIC OFFICERS) of the 1987 Constitution provides that impeachable officers may be removed on impeachment for, and conviction of, culpable violation of the Constitution, treason, bribery, graft and corruption, other high crimes, or betrayal of public trust, these impeachable officers may also be ousted from office through quo warranto proceedings because they are not excluded from such proceedings under Section 5(1), Article VIII (JUDICIAL DEPARTMENT) of the Constitution. “In other words, the Solicitor General is not asking the court (SC) to remove respondent for impeachable offenses: it is not the concern of the petition. Instead, the Solicitor General has good reason to believe that respondent has no authority to occupy the esteemed office of the Chief Justice of the Republic of the Philippines: she had not shown that she possessed proven integrity, an indispensable qualification for appointment to the Judiciary pursuant to Section 7(3), Article VIII of the 1987 Constitution,” the OSG said. 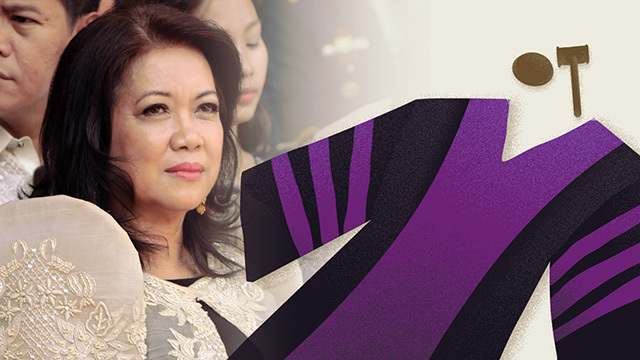 The OSG filed the petition due to Sereno’s non-compliance of the mandatory requirement of submission of Statements of Assets, Liabilities, and Net Worth (SALNs) set forth by the Judicial and Bar Council (JBC), the body that screens applicants for posts in the judiciary, when she applied for the top judicial post in 2012. Sereno submitted only 3 SALNs when she applied for the chief justice post: 2009, 2010, and 2011. The JBC required the submission of all SALNs of an applicant in government service; later the substantial compliance was set at 10 years prior to application to the top judicial post or from 2002 to 2011.